By way of reinterpreting the Iliad, Alexandre Dumas’s Count of Monte Cristo, and recent Islamic political riots in Paris, Sloterdijk proves the fallacy that rage is an emotion capable of control. Global terrorism and economic frustrations have rendered strong emotions visibly resurgent, and the consequences of violent outbursts will determine international relations for decades to come. 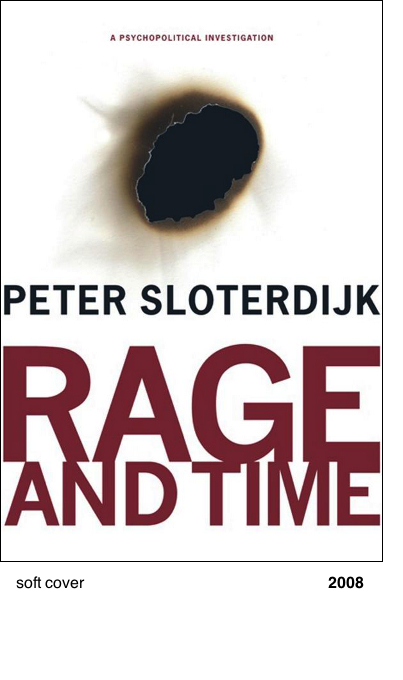 To better respond to rage and its complexity, Sloterdijk daringly breaks with entrenched dogma and contructs a new theory for confronting conflict. His approach acknowledges and respects the proper place of rage and channels it into productive political struggle.